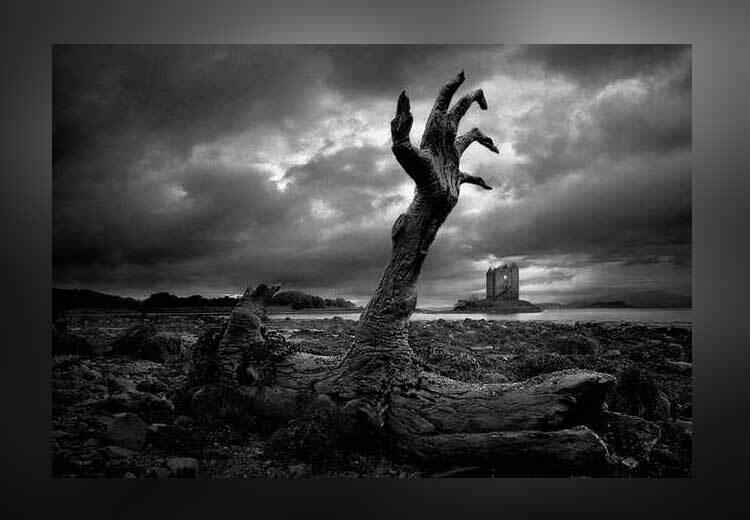 SCARIEST HAUNTED PLACES: We have been hearing ghost stories from our grannies and elders since we were small. Some of us developed the fear of ghosts and had the notion that if we go out in the dark, we will surely meet a ghost and it will take us or eat us! And some didn’t believe the stories. But there are many, like me, who had the feeling to see a ghost someday. We developed an excitement about ghosts and were firm that till we don’t face any paranormal activity or ghost, we don’t believe these facts. Did I say facts? Yes, facts! The spirits are everywhere—in the gorgeous hills of Ooty and Mussoorie, the arid desert of Rajasthan, the crowded streets of Mumbai and Delhi, the student city of Pune, Nizami Hyderabad and even the business state of Gujarat. This article is purely meant for people like me who have an urge and excitement to face anything paranormal. 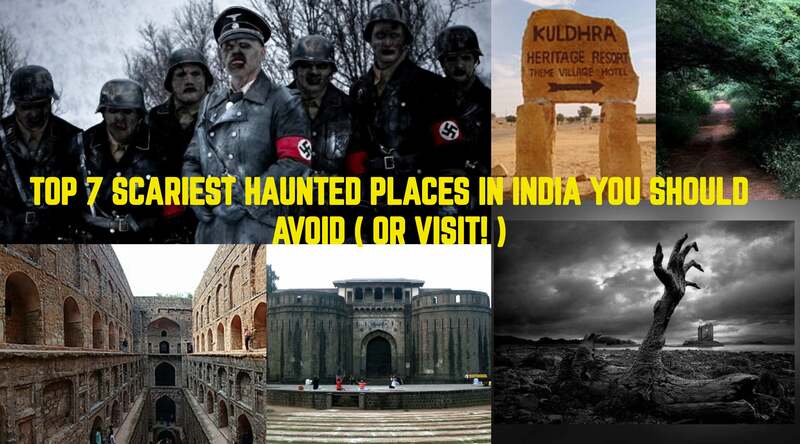 But this is for the ones who fear ghosts too, at least if they go near these places, they will remember that someone had listed these as some of the most haunted places in India. Do get ready to be the hunter or the hunted! So here I am listing the Top 7 Scariest Haunted Places in India which you shouldn’t come across, but some like me should. I have been writing many other things, but these are the places of which some I visited. And believe me, it was horrifying. Situated 20 km to the west of Jaisalmer, this town, or rather village was not a hot topic in the tourist destinations. But now, tourists visit here very often, but only during the day. None have the guts to go to this place after sunlight goes down. This village was once inherited by the Paliwal Brahmin community. But it was abandoned overnight. Legends say that the Prime Minister of Jaisalmer at that time, Salim Singh had his eyes on the daughter if the village head. But the father of the girl didn’t find it a right match, thus denying. Salim threatened the villagers about levying huge races on then if they don’t do what he says. In this fear, the villagers are known to abandon the place overnight. The creepiest thing is that there’s no information where the villagers went. The place is known now to be haunted by the fists of some people who committed suicide at that time. According to the Archaeological Survey Of India (ASI), people are forbidden from entering the fort after sunset. And to tales follow the rule. The first one says about a hermit banned Baba Balau Nath who lived in the fort, he was asked by Emperor Madho Singh about building a city. And the hermit agreed on a condition that the shadow of the Emperor’s palace shouldn’t fall when he returned from a journey, failing to which would result in the ruining of the city, ABC does happen. Many pros were killed in that incident. The second one is about love. A wizard once feels in love with the princess of Bhangarh, Ratnavati. Once when the princess was buying Ittar (scent), the wizard planned to exchange the ittar with a live potion which would make her fam in love with him. But the princess got to know about it and threw the potion on a boulder, which ultimately crushed the wizard to death. 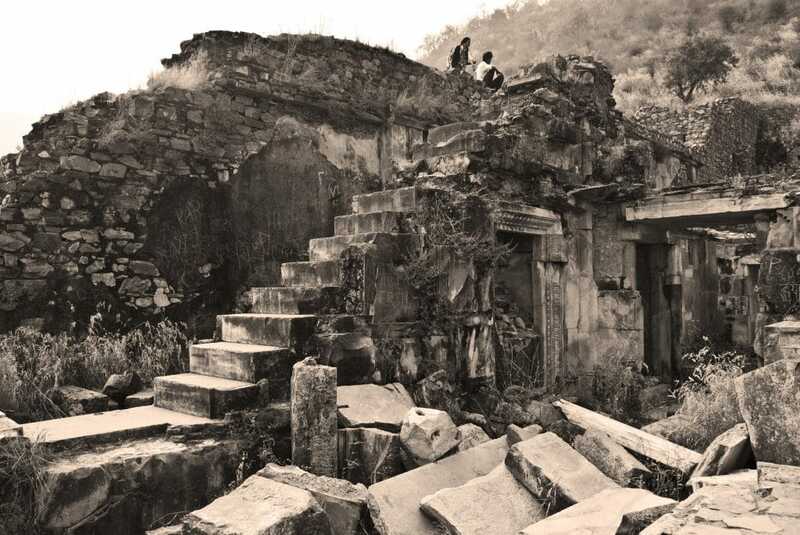 But before dying, he cursed the city of Bhangarh to ruins. Locals say of hearing strange screams from inside and also that those people who go into the fort after sunset don’t live to tell their tale. And those who survived have reported hearing footsteps and the screeching of a woman. This 60-meter long and 15-meter wide historical step well located on Delhi’s Hailey Road is believed to have been built by King Agrasen, during in the mid-14th century. Ghost Enthusiasts say that intensity of unnatural vibrations increases around you as you step down the 108 steep steps of the well. Locals and visitors say that they feel an eerie presence in the well, and the waters have the power to attract people to jump into it and take their own lives. One of the pages that I have visited. And believe me, you will feel like someone is at your back telling you to jump into the lake and take a bath, only to die finally. 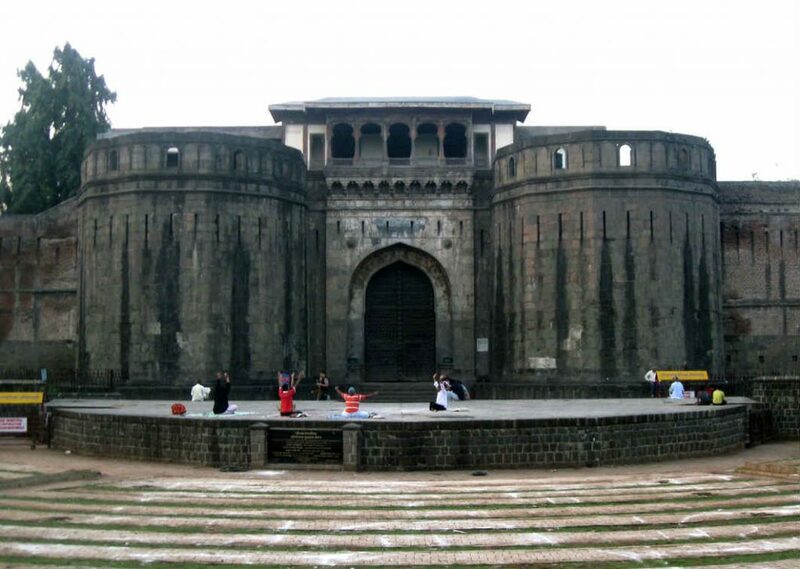 It is said that this home built in 1732 in the honor of Peshwa Bajirao I, saw several incidents of unrequited love, betrayal, and treachery. Locals say that in 1773, Nayanrao, the fifth Peshwa ruler was murdered following the orders of his uncle Raghunathrao and aunt Anandibai. People passing by still hear the king screaming kaka mala bachata (uncle save me). Though I didn’t hear anything like that, it was creepy in the area. Surprised to find such a beautiful place on the haunted list? Well, don’t be. This pretty one he been said to be built on the battleground of the Nizams. Ghosts of the deceased soldiers are said to still haunt this place. But the surprising fact is that the ghosts attack women more often than men. Tales of mirrors being scribbled with strange Urdu words and loud knocks on the bathroom door with no one outside have been heard. A tale goes like this – during the shooting of a film, the crew mansion the lights were said to be pushed down forcibly from their positions, and no one was behind them! Do next time you visit there, don’t use the bathrooms in the film city! A beach and that to be haunted? Yes indeed. Probably the scariest place in the list. The beach famous for its black sand and silver water, was built on a Hindu burial site. The ghosts of the dead are felt to be haunting the place. People going missing during midnight trolls and dogs regularly crying and barking add to the stories. I have been there, of course not at midnight! But the barking and crying of the dogs is different there, scary indeed. Probably another scariest place, this place is one of the most beautiful places in Delhi during the day, but St night, it’s completely a different story. 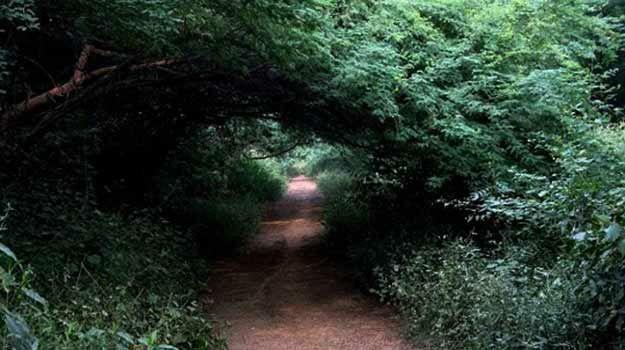 It is said that the road leading through the Cantonment is haunted by a notorious hatch hiker, who walks around aimlessly, dressed in complete white and waving at people driving through. It is believed that those who have agreed to give her lift are never seen again, but the common rumor is that those who give her a lift never see her face in the mirror, and if they try to, the girl vanishes. And those who deny a lift report that the girl is seen running parallel to their vehicle at full speed, matching the speed until they reach the border. And I am among those who denied a lift, and this experience has scarred me for life. Hope you liked the article and please don’t visit these places at all. Believe me, if you do, you may not be there to tell your survival story!